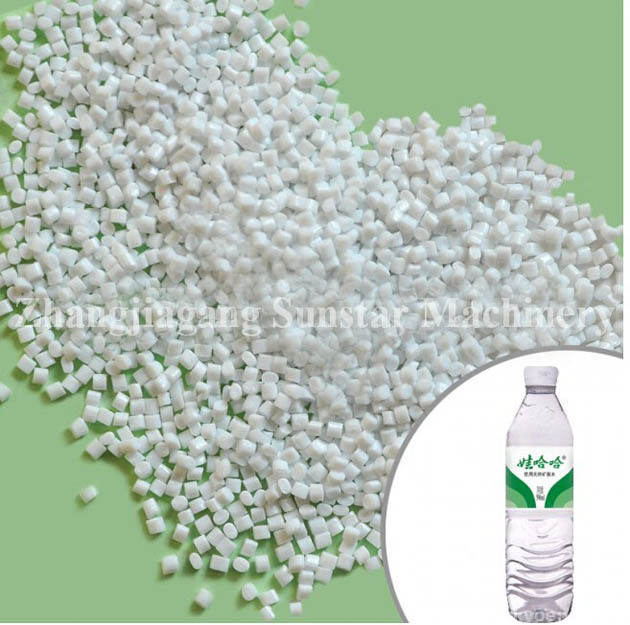 302AL Water Bottle Polyester Chips: 302AL polyester chips is applicable for the packing bottles of various drinking water including purified water, natural mineral water and distilled water, sauce bottles, candy bottles and PET chips, etc. Low viscosity, mixed with rapid heat absorption material to improve the processability, reduce the process energy consumption and improve the production efficiency. Because unique process formula and production technique are used, this model of product has a favorable processability, low processing temperature and wide processing range. The product has a high transparency and high final product acceptance rate, so the bottle producing process is realized with high production efficiency, low degradation and low aldehydes content. In addition to protect the sanitary safety, the unique taste of purified water, mineral water and distilled water can be effectively maintained. Because of its high barrier property and favorable processability, it is extensively used as the preferred material for packing bottles of drinking water, soft drinks, non-drinks, and chips, etc. Low viscosity, mixed with rapid heat absorption material to improve the processability, reduce the process energy consumption and improve the production efficiency.